The Institute for Energy Security (IES) has projected prices on the local fuel market to remain largely unchanged at the pump in the first Pricing-window of November 2017, which begins on November 1. IES said it arrived at that prediction, being guided by the marginal drop in prices for both Gasoline and Gasoil, the stability of the local currency, the stockpiles available in country as well as not-so-positive rise in crude prices on the international fuel market. This was contained in press release by IES Principal Research Officer, Gilbert Richmond Rockson. Reviewing the second Pricing-window of October 2017, IES said the period recorded reduction in fuel prices at the pump as projected by the institute. Most Oil Marketing Companies effected price change for Gasoline and Gasoil, reducing prices by an average of 1 per cent. Current average prices for Gasoline and Gasoil sell at GHS 4.32 and GHS4.24 respectively, with Frimps Oil, Lucky Oil, Benab Oil, Zen Petroleum, Star Oil and Puma Energy selling at the lowest price per litre at the pump. IES said Brent crude price figures gathered from the global oil market suggests a price change of 2.18 percent on average terms in the last 14 days, moving from a previous average of $56.49 to $57.72 per barrel. Presently, Brent crude prices has crossed $60 per barrel; the highest since July 2015. This is as a result of Saudi Arabia and Russia leaning towards agreeing to extend their production limits through the end of 2018, a move that could be finalized at the upcoming meeting in Vienna on November 30. The institute added figures from the international fuel market by Standard and Poor’s Global Platts benchmark shows marginal increase in prices for both Gasoline and Gasoil. 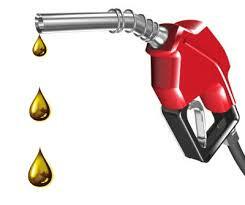 Price of Gasoline went up from a previous average of $560.18 per metric tonne to $566.10 per metric tonne. Gasoil prices also increased from a previous average of $531.89 per metric tonne to $535.30 per metric tonne. Local Forex and Fuel Stock Data by IES Economic Desk suggest the local currency has been fairly stable for the period under review, with the Ghana Cedi appreciating by 0.22percent to close at GHS 4.39 to the US Dollar, from a previous value of GHS 4.40. 71,700 metric tonnes of Gasoline and 59,710 tonnes of Gasoil were discharged between 13th and 28th of October, 2017 to complement in-tank stockpiles.